When I shoot weddings for couples who also have professional videographers documenting their wedding day, I'm often able to capture some interesting, sort of wacky photos that actually utilize the camera itself in creative ways. 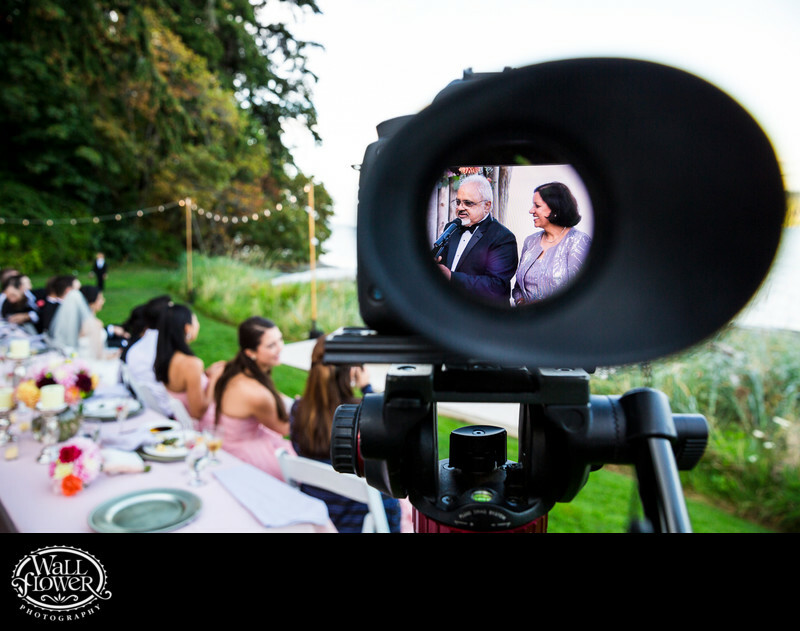 Here, a videographer's camera, perched on a tripod, is highlighting the bride's parents as they give a toast to their daughter and her new husband. The beautiful setting is the Edgwater House in Olalla, Washington.